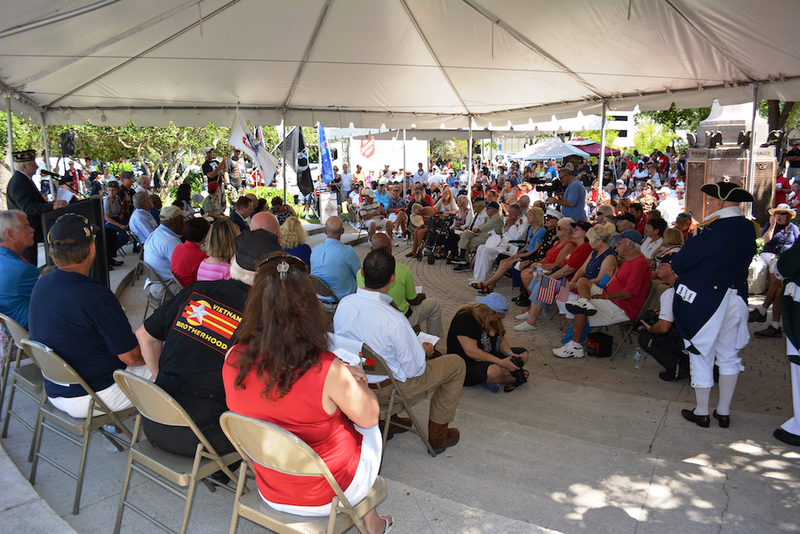 The City of Sarasota, in conjunction with the Sarasota Patriotic Observance Committee, will host the annual Memorial Day parade in downtown Sarasota on Monday, May 29, at 10 a.m., the city has announced. The parade will start at the intersection of Main Street and Osprey Avenue and conclude at J.D. Hamel Park, located at the intersection of Main Street and Gulfstream Avenue. A ceremony will be held at the park at approximately 11 a.m., a news release points out. The public is encouraged to attend. The theme for the 2017 ceremony is Celebrate, Honor, Remember, as the 75th anniversary of the Battle of Midway will be recognized, the release notes. The Battle of Midway occurred June 4-7, 1942, six months after the attack on Pearl Harbor, the release explains. “A decisive U.S. victory, it marked the turning point in the Pacific theater,” the release says. Sarasota Military Academy students will lead the parade, carrying an American flag flown at the Battle of Midway, the release continues. Immediately following the students will be the U.S. Marine Corps Color Guard, the release adds. The keynote speaker for the ceremony will be Dr. James D’Angelo a local retired hematologist/oncologist who founded the Midway Memorial Foundation in 1992, the release notes. “His tireless efforts to recognize the significance of the Battle of Midway resulted in the 105th U.S. Congress designating the Midway Atoll as a national memorial,” the release explains. D’Angelo also authored the book Victory at Midway: The Battle that Changed the Course of WWII, which will be published in late 2017, the release notes. D’Angelo served in the U.S. Air Force during the Vietnam era, the release says. Prior to his address, D’Angelo will present a sterling silver Battle of Midway commemorative coin to retired Capt. Robert O’Neill, 91, a Pearl Harbor survivor who lives in Bradenton, the release points out. “In December 1941, O’Neill was a 16-year-old U.S. Navy seaman fresh out of boot camp in transit to serve in Australia with a layover in Pearl Harbor, Hawaii,” the release says. “He recalls walking to breakfast on the military submarine base just before 8 a.m. on December 7, 1941,” the release continues, “when the first horrific attack occurred.” Seventy-five years later, the images of Japanese pilots approaching the base are still very vivid to him, the release notes. He also remembers how he spent the next 30 hours: in a rescue boat pulling countless survivors and casualties from the oil-slicked “infernos raging on the water,” the release adds. O’Neill went on to serve honorably in the Navy for 37 years, the release says, noting, he will turn 92 two days before Memorial Day.